Who does not know Bandung? Bandung city has many tourist attractions and culinary places. The city of Bandung is also the capital of West Java. Of course you are familiar with this one city. A few years ago, the city of Bandung has a place or a very amazing game rides that is Trans Studio Bandung. 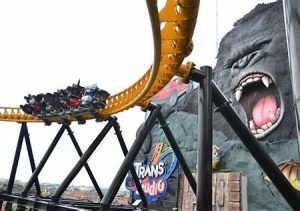 Have you heard of Trans Studio Bandung? Yes, exactly the same as Trans Studio in Makassar. What distinguishes only the area of ​​the Trans Studio. Trans Studio in Makassar has a larger area, but in Bandung has a smaller area. However, do not worry because the contents of the rides the game is the same and no difference. Spend your time a day to be able to try all the rides of the game in Trans Studio Bandung. You need to know that the rides provided are not just 5 rides or 6 rides, but there are dozens of rides you try, ranging from challenging and mediocre. what are the rides that you should try while in Trans Studio Bandung? What to do in Trans Studio Bandung? Yamaha Racing Coaster is one of the rides that boost your adrenaline. this racing sped with a speed of 120 km in 3.5 km. acing coaster is the only fastest racing coaster in Indonesia and the second fastest in the United States. The provision for this ride is sufficient for a predetermined height and has no history of heart disease. On this one ride you will feel how to explore or adventure in the dense jungle of Africa by using electrically run boats and also meet with wild animals. After that, at the end of the game you will pass a ravine that is about 13 meters high. Simply test the adrenaline. It is advisable to bring a change of clothes if you want to try this rides, because when it comes down the canyon you will be exposed to water. This one rides also greatly test your adrenaline. 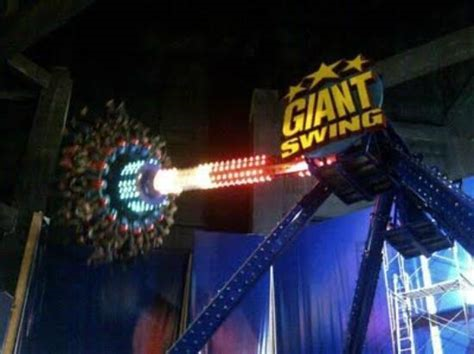 You will be rotated and swung at a height of 18 meters. Imagine how high it is. The rules for getting on these rides are high should be above 120 cm and have no history of heart disease. This Vertigo is one of the rides that can be spelled out and also pit your adrenaline after racing coaster. In this vehicle you will be rotated 360 degrees vertically. Imagine if your head is under within a few seconds. So, for those of you who have heart disease or dizziness advised do not ride this one vehicle. From the name is clear that this vehicle is a spooky game with horror atmosphere. Inside the rides will also show some famous places of horror in the city of Bandung. You should not be alone to get into this Other World rides, because it will feel very scary. That’s what to do in Trans Studio Bandung. This one rides can be visited by all ages. There is no need for special rules to enter this vehicle. This is an educational vehicle for learning science for children. This is one of the favorite rides in Trans Studio Bandung. In this vehicle you can pretend to be a broadcaster on Trans 7 or Trans TV with various programs on the channel. 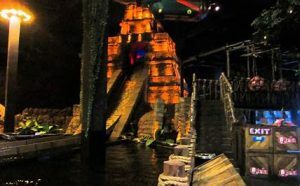 This rides will accompany you around the studio using air boats. imagine it would be very fun to be able to surround the Trans Studio using air ships. If you are probably afraid of heights, maybe you can go around Trans Studio by train. 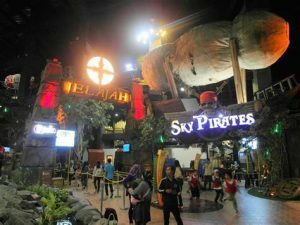 But it is advisable to use Sky Pirates to get around Trans Studio because you can see clearly and as a whole. On this one ride you can see theatrical drama show. However, to be able to see these rides, there are schedules and day. So, only at certain hours you can see the theater. In this vehicle you will be treated to a big screen, so you watch the big screen that is much more real than the original. One of these rides is very much in demand by the visitors, so you have to be patient to wait their turnAbove are 10 rides that you must enter and you try when you are in Trans Studio Bandung. Actually there are a total of 20 rides that you can try. Most of the Trans Studio has an adrenaline rush. So, for those of you who like to boost adrenaline is perfect for coming to this place.Trans Studio Bandung was founded around the year 2014. It has been about 4 years Trans Studio Bandung is standing. This one tourist place has high visitor traffic every month even every day. Administratively, Trans Studio Bandung is located on Jl. General Gatot Subroto No. 289, Bandung, West Java. Trans Studio location is very strategic because it is located in the middle of the city, so it is very easy to find. You can use a private vehicle or public transportation to get to Trans Studio Bandung. Ticket price to be paid to get into this one tourist is quite expensive and quite draining money. So you need to bring enough money to get into this Trans Studio Bandung. however, you do not worry. When you enter and try the rides in this tourist place you will not feel the loss, because you will not be able to find a similar thing in Indonesia. For the ticket price to be paid is Rp. 170.000 / person for Monday – Friday. For Saturday / Sunday or holiday Rp. 270.000 / person. will incur an additional charge of Rp. 250.000 for VIP Access (Quick Queue Line with special door). Trans Studio entry ticket using Mega Cash card. The price of the card is Rp. 10,000. Once you know how and what rides are available in Trans Studio Bandung, are you interested to visit it? Do not forget to invite your friends and family to make your vacation feel more crowded. Have a good vacation!